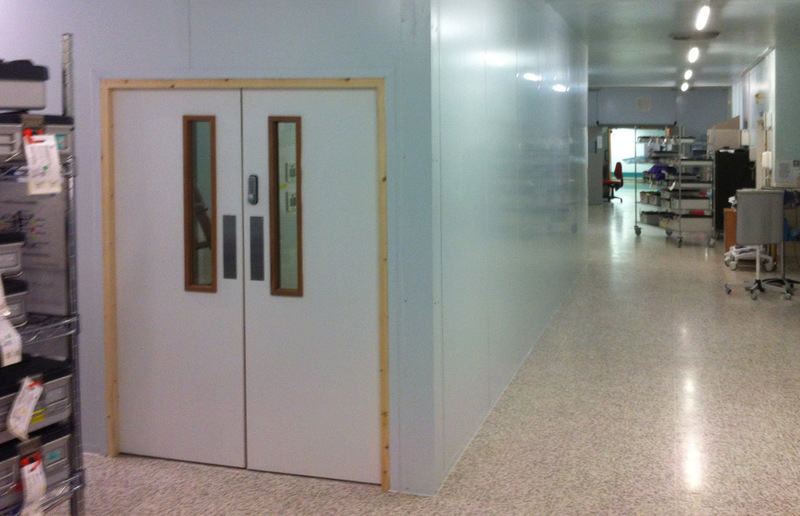 Lightweight fire rated non-combustible hoarding wall panels designed for internal linings and partitions for general industrial applications and high risk environments. 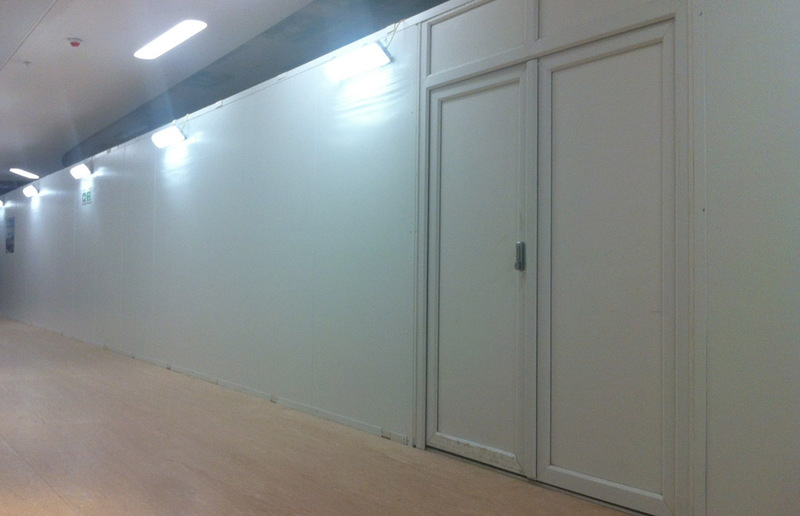 Fire Stop has a density of 100kg and is suitable for low to medium height walls. Fire Stop HD has a density of 125kg and is suited to longer wall spans and ceiling panels. The non combustibility for Mineral Fibre combined with the steel facings give Fire Stop panels a Class ‘0′ rating and according to the new European classifications for reaction to fire, a Class A1. 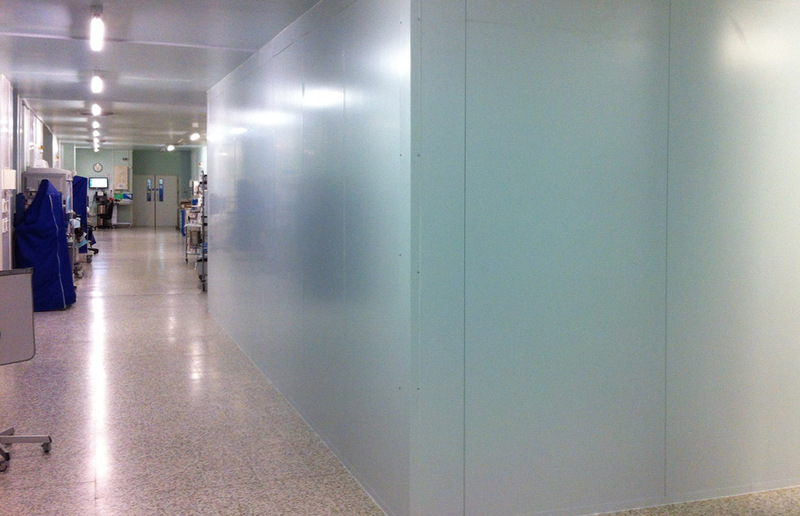 Reuse-A-Wall™ Fire Stop panels provide a 30-60 minute complete fire barrier. Interested in our fire rated hoarding?